What’s the Best Part of a Pancake? 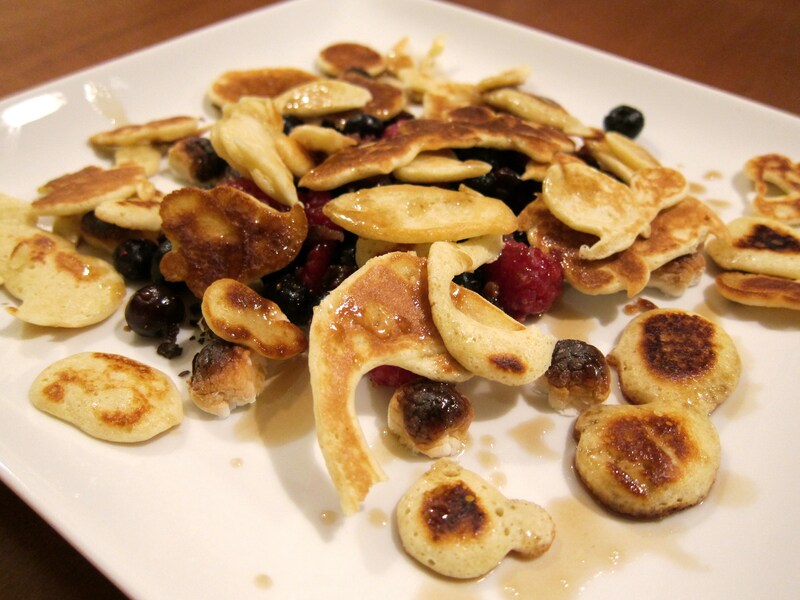 Pancake Bits — Top Chef Night | Eat.Drink.Life.Love. If you don’t love pancakes, there is something seriously wrong with you. A humble pancake can be sweet or savory, it can be plain or the vehicle for any number of embellishments — variety, thy name is pancake. But when chef Edward Lee reduced pancakes, not to the size of a dinner plate or even a silver dollar, but to pancake bits, we wondered why this wasn’t the gold standard of pancakes. After all, the best part of a pancake is the hot, crispy outer edge. And because everyone loves breakfast for dinner, we decided to shake up Top Chef night with pancake bits, bacon, blueberries, raspberries and bruleed marshmallow (click here for original recipe). First things first: The original recipe calls for two strips of bacon. 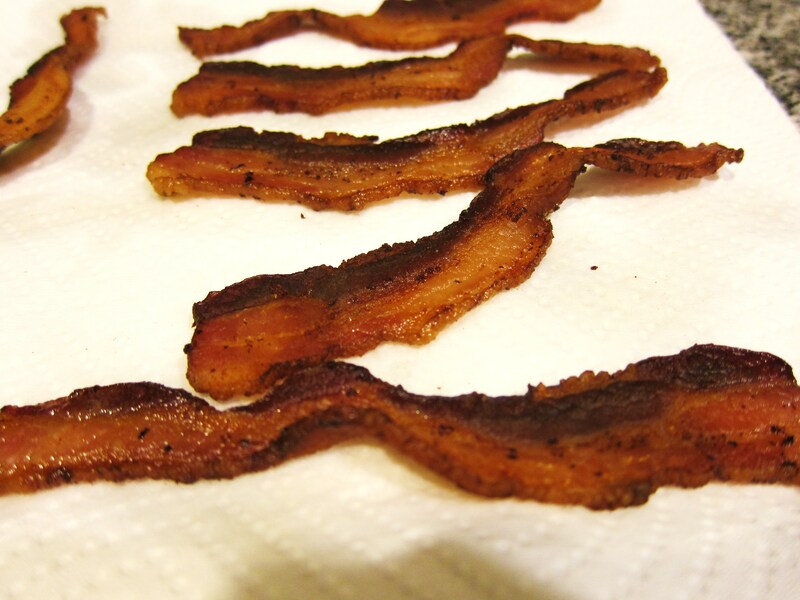 Who eats just two strips of bacon?!? We made a few extra pieces. Separate the egg yolks and egg whites. 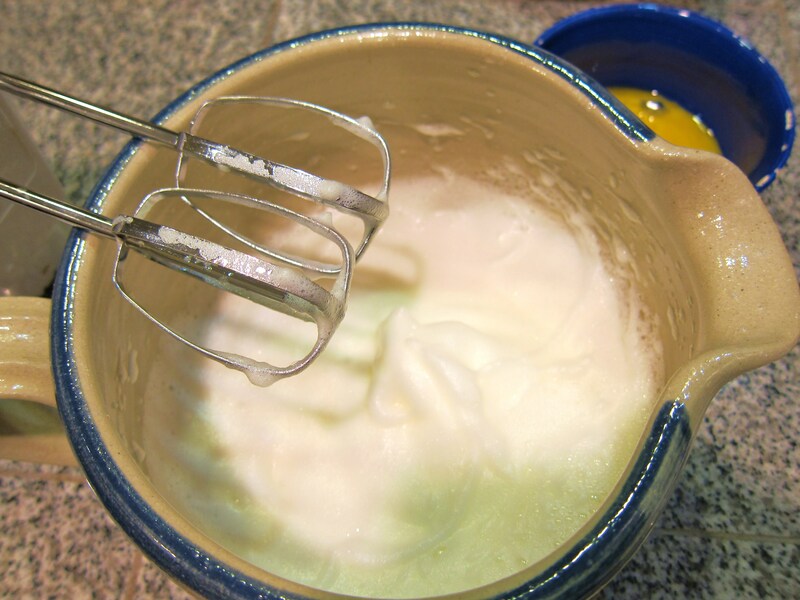 Use a mixer to beat egg whites to soft peaks. Put flour into separate bowl. Add egg yolks, melted butter and sugar. Add the milk and whisk until batter is smooth. Fold egg whites into batter. Toss everything except bacon in a small bowl. Add bacon at the last minute before serving. Heat a griddle or cast iron pan over medium high heat. Add a small amount of oil to bottom of griddle or pan. Drizzle small amounts of batter to form small bits. When the batter bubbles and the sides begin to brown (2-3 minutes), it’s time to flip the bits and cook the other side for 1-2 minutes. Keep the bits warm in the oven or toaster oven (at about 150 degrees) until ready to serve. The more quickly you can serve them, the more crispy the bits will be. Toss the bacon bits into the fruit “salad.” Put a bunch of mini marshmallows onto non-stick aluminum foil and either toast them with a small torch or place them in the oven (or toaster oven) under the broiler. Watch them carefully so they don’t burn!! You want them nice and dark brown, like the perfect campfire marshmallow. Mix 1 TB maple syrup and 1 TB butter and melt together in the microwave (25-30 seconds). Put fruit “salad” onto plate, add pancake bits, pour maple syrup butter mixture over everything, add marshmallows to plate. Top with whipped cream if you’d like (we skipped it). And…dig in! 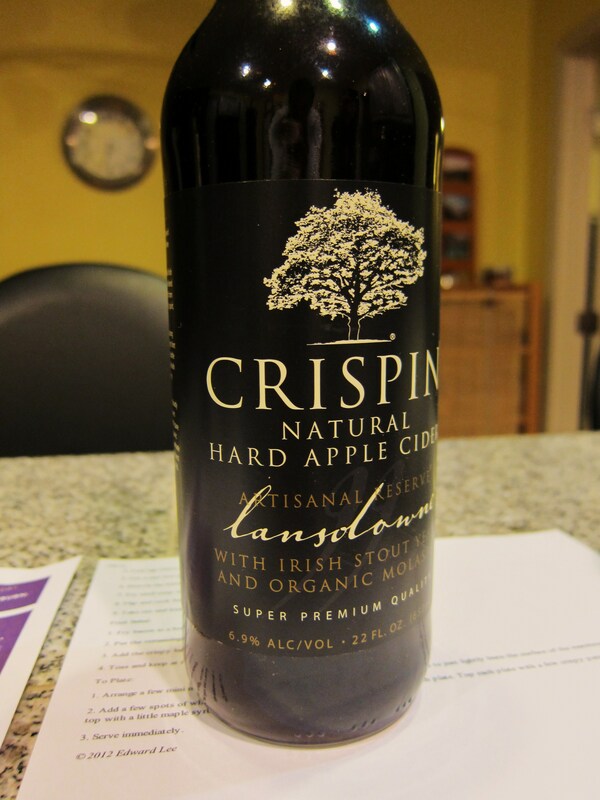 Holy yum. Hot, crispy, sweet, fresh and fruity, sticky marshmallow goodness and the unexpected savory pop and crunch of bacon. After you try these, you’ll make bits with every subsequent pancake. It’s the best part of the pancake, hands down. Would we make this again? Yes! 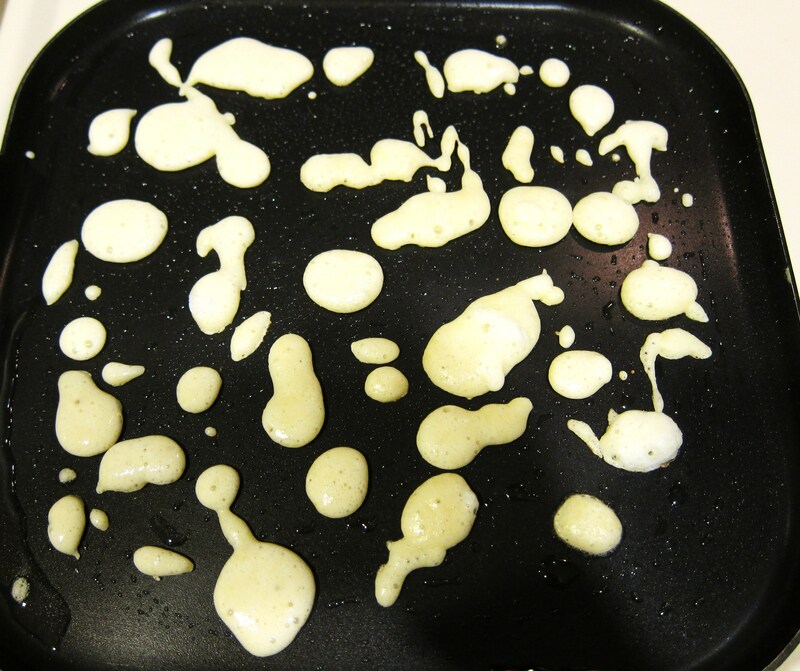 What a fun way to shake up pancakes! Soundtrack: General Public, Joy Division, The Suburbs and more.